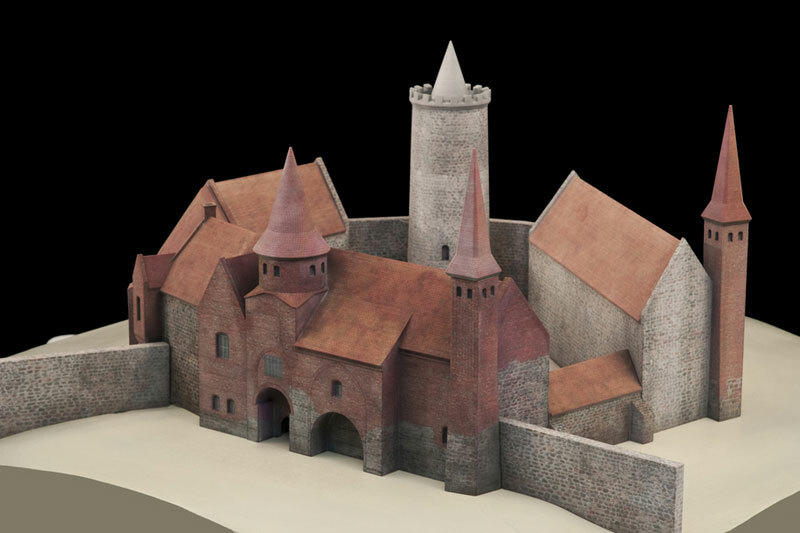 In 2009/2010, we had the opportunity to realize an innovative modelling project commissioned by the Germanic National Museum Nuremberg. 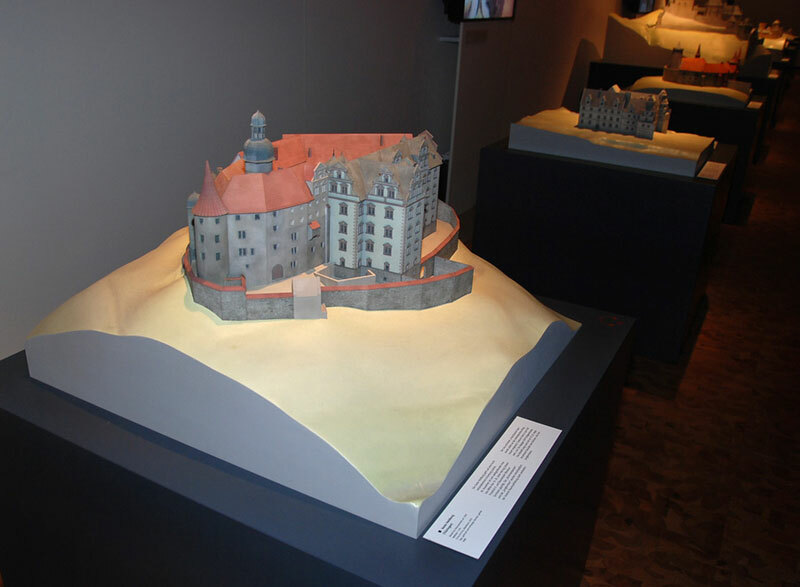 The special exhibition “The Myth of Castles” in 2010 displayed six large models of complete castles (Karlstein, Marburg, Heldburg, Rheda, Varenholz, Ziesar) built in our workshop, supported with computer animations (Marburg, Burg Eltz). For us, the “spacial” display doesn’t stop on a virtual level. 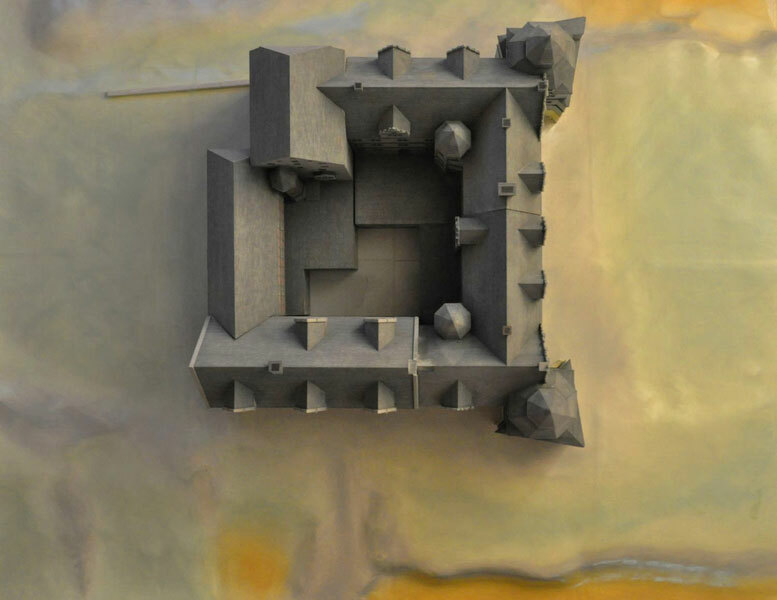 Our modelling departement builds real models using the latest CNC-milling technology and 3D printing. 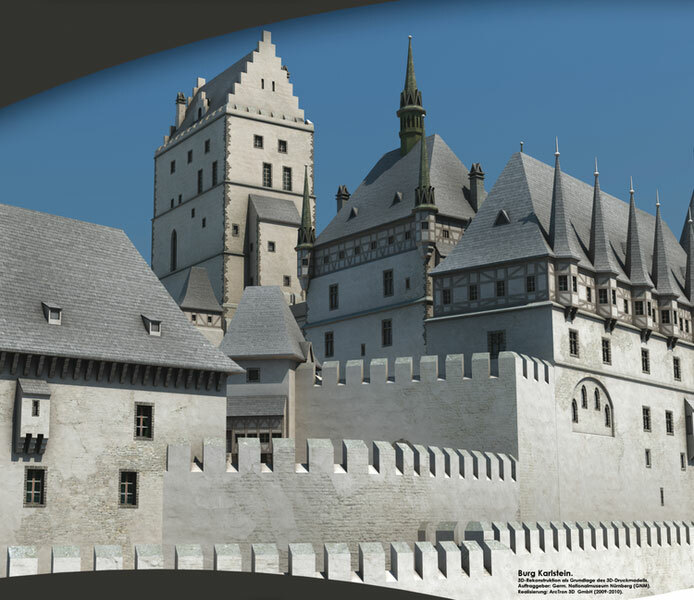 First, the complex 3D models are prepared on the computer and, for instance, textured according to the customer’s desires. 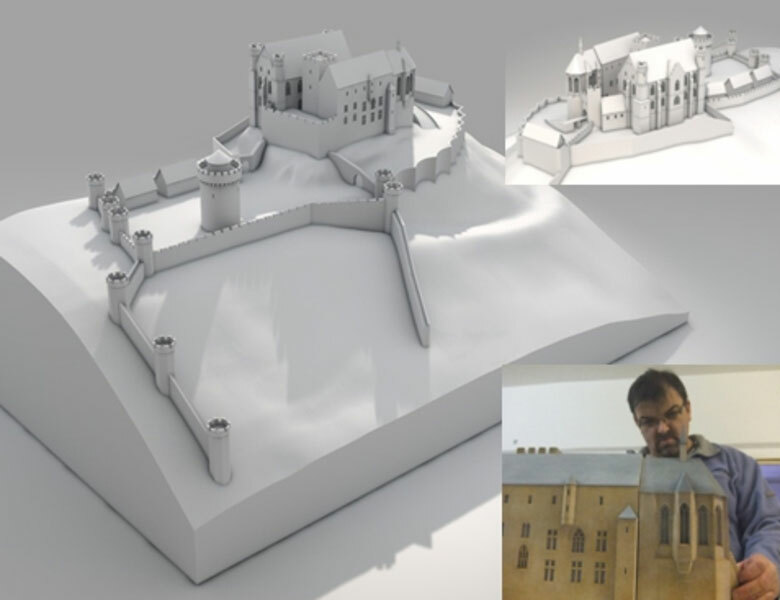 The “3D printer” works – very simplified – according to the same principle of a plotter, that draws with a pen moving on two axes. 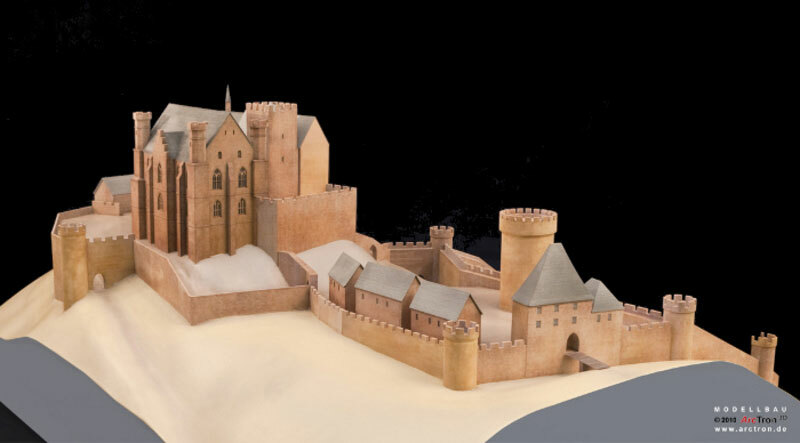 Instead of pens, the 3D printer “draws” the model three-dimensionally with plaster powder and a special “super glue”, level by level. 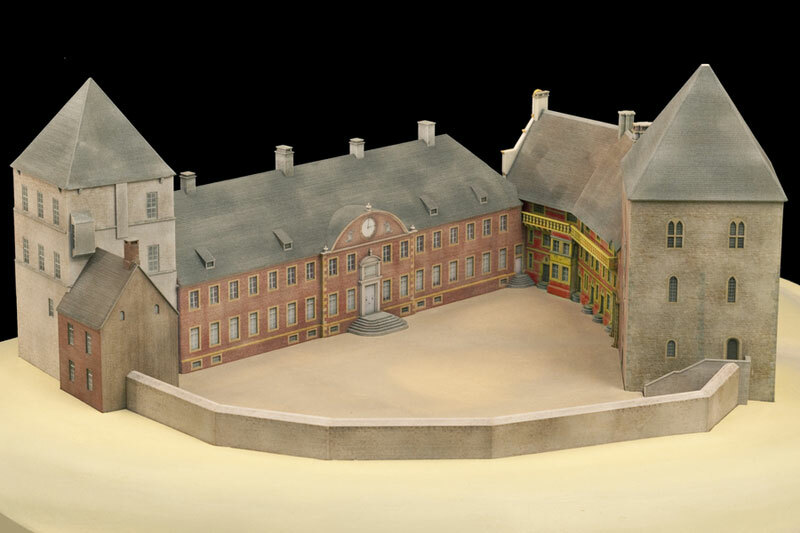 The surfaces are simultaneously coloured with a colour print head.